Do you feel the ground slipping from under your feet because of the huge responsibility of repaying multiple debts every month? Chronic stress and frugal fatigue became your most powerful enemies and you cannot seem to win the fight? Do you live mediocre due to the high number of debts? If you don’t feel in control of your finances and have a sense that money is running away from you then it can, as the NHS recognizes, have a big impact on your self-esteem and mental health. If you’re struggling to clear your debts, you don’t need to suffer in silence. There are things you can do to get back control and start to tackle your money worries. Well, it seems like you have a single solution that could help you eliminate these troubles from your life. Yes, we are talking about debt consolidation. If you never heard of this concept, then you should not worry too much. Debt consolidation implies combining all your debts into a single payment so that you save money on the interest, concentrate your attention into one direction and complete the process of repaying the current debt faster. Feeling reluctant is quite normal, especially if you are not familiar with debt or credit consolidation. However, you should not close the door on this efficient solution just because you do not benefit from the extensive knowledge. You can always inform yourself regarding this notion and consult a professional. Many people will have seen or heard the adverts that suggest you could consolidate your debts down into one monthly repayment, but how do you know if this will work for you? 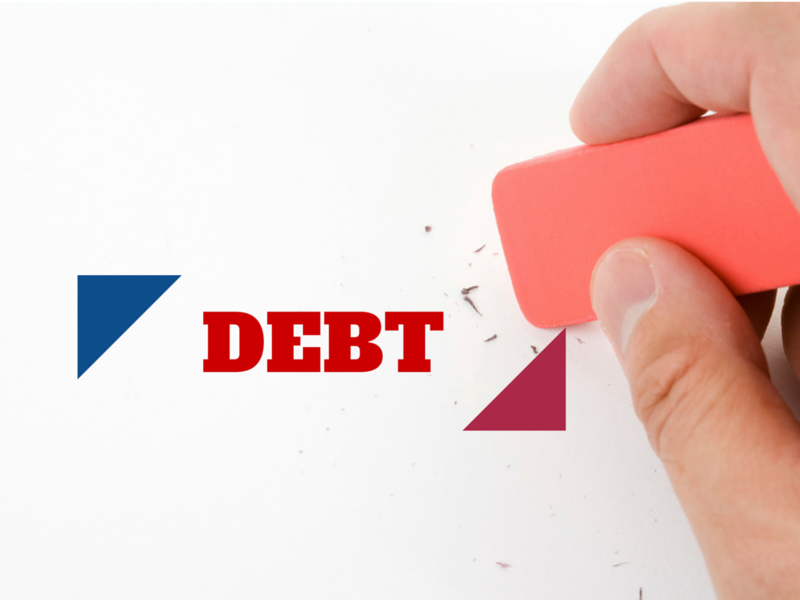 Let’s examine the pros and cons of debt consolidation. But before anything, let me remind you that self-debt consolidation is the best financial decision you can make. There’s nothing external parties can do that you can’t. I have written a step-by-step process to consolidate your debt into one. Based on whether you hire external parties to help you with your debt problem or you do on your own, there are pros and cons of consolidating your debts into a single large debt. Debt consolidation is a great way of making life a little simpler. Debts are often held in different places, each with their own payment arrangements, interest rates, and end dates. A debt consolidation loan packages this up as one payment, allowing you to see what you need to pay and when in one place. By putting all of your debt together in one place you can slash the amount of interest you pay, meaning that more of your efforts are more firmly focussed on removing the debt itself and not just the interest. Not just that, there is also the chance to reduce your monthly outgoings and bringing your payments down to a level that is more manageable. By taking out a loan and paying it off in an orderly manner you can improve your credit rating. This is a fairly common practice and that means that borrowers are able to shop around for a good deal. Debt consolidation is a great way to draw a line in the sand and help you recover financially. However, there are two things it won’t do: it won’t wipe the slate completely clean and it won’t fix the issue that got you into debt in the first place. You will still have to pay what you owe and you may still need to put in some thought into how to change your own circumstances in the long run. This isn’t the end of the process, just the start. Watch out for the terms too. Some loans might well carry lower payments but might stretch out over a longer period, meaning that you actually pay back more in the long term. There can also be fees and charges involved and you need to account for these when assessing the full cost of debt consolidation. Debt consolidation done badly could also cause problems in the long run. Failing to keep up with the repayments will badly affect your credit rating. Everyone’s circumstances are different and it is well worth getting help and advice if you aren’t sure what to do – the Citizens Advice Bureau is an ideal port of call. Many of the cons outlined above are, in essence, problems that can occur if this is handled badly or if your circumstances aren’t quite right. Done well, debt consolidation can be a really good way of getting back in control of your finances and heading on the path to a healthier situation. By doing your homework and research you can ensure that your consolidation is ‘done well’. Readers, we believe that a lower interest personal loan can consolidate all your high-interest credit card debts. You will pay fewer interest charges every month and thus will pay off your debt faster. here’s a list of best personal loan providers. Because we understand your vulnerability, we decided to disclose the most common mistakes people keep repeating when consolidating debt. When not done properly, this method can also provoke unpleasant inconveniences that a person in debt could see as major catastrophes. The first mistake consists in turning your back to the real problem that caused you financial loss in the first place and that problem refers to your spending habits. You have to admit that your lifestyle practically sunk you into debt and you really need to make some changes in this regard. Some people are too proud to admit their mistake, but they only manage to worsen their situation by denying their fault. If you think that debt consolidation will make all your financial troubles disappear like magic, then you are deeply wrong, and you show signs of excessive naïvety. Yes, you get rid of those multiple debts that drain your energy and the will to live but now you have to face another debt that you should not take with ease. Instead, you should strategically develop a plan that will enable you to repay the debt faster in as per the new terms and conditions. The main idea is that debt consolidation allows you to monitor more efficiently your payments, but it does not eliminate them from your life. Another major mistake that people keep repeating is not considering other alternatives. Even though debt consolidation represents a real savior in most cases, not everyone receives the same results after applying this method. This only happens because everyone has different needs that require different approaches. Thus, if you do not want to miss a better opportunity, then you should start exploring each option and assess its advantages. You have to be aware that nobody will come to you and give you a complete plan or guidance on how to approach your personal issues or manage your spending habits. Let us know your experience with debt consolidation and share what you know. Debt consolidation can be a great way to gain back control by making it easier to pay the one company. Unfortunately, from my experience working in the debt industry, not may people are in a position where a lender will offer them a loan. Usually it is straight into an IVA or DMP. The biggest risk seems to be that many people consolidate their loans but then continue to borrow more on the original cards – putting themselves further into debt overall. If someone leverages this option they need to be very careful that a false sense of progress doesn’t actually move them in the opposite direction of their financial goals. Money worries is the most worst worries. I’m sure all people will agree with me, who don’t have huge resources of money. I like the debt controlling ideas shared here and looking forward to utilize these ideas to find out the effectiveness of such suggestions.